Houdain is a large village in the Pas De Calais region of France. 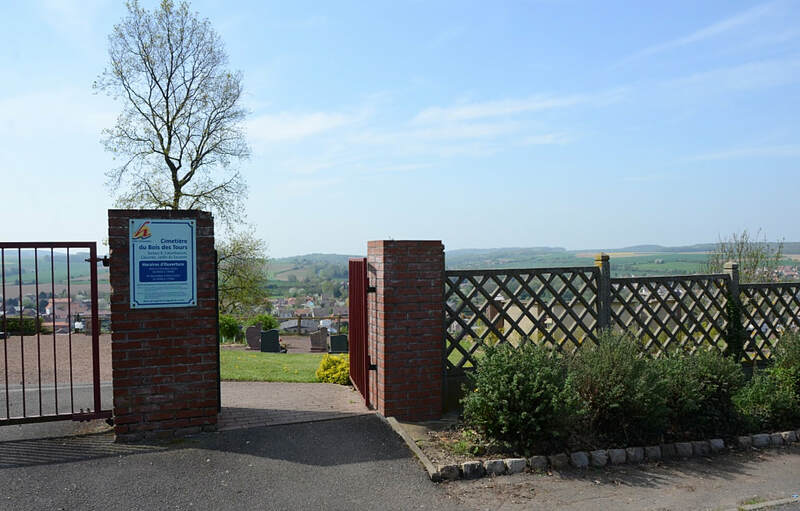 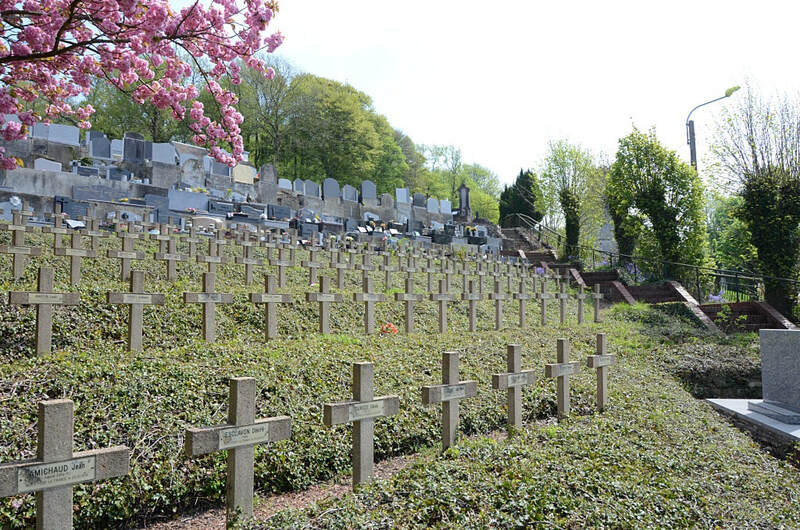 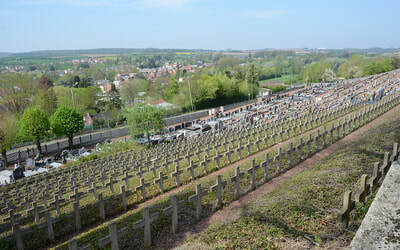 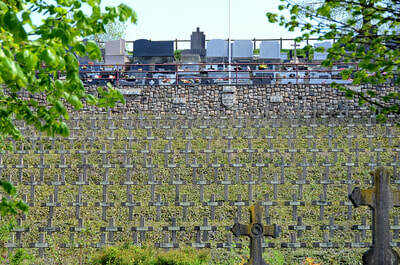 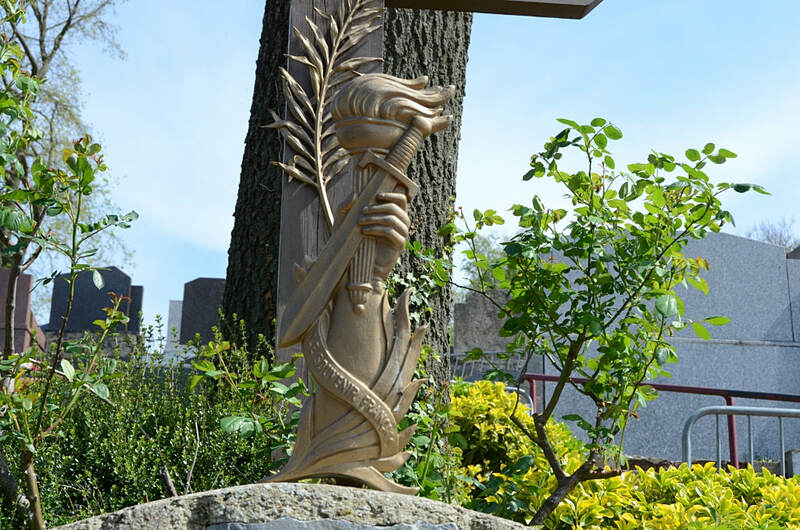 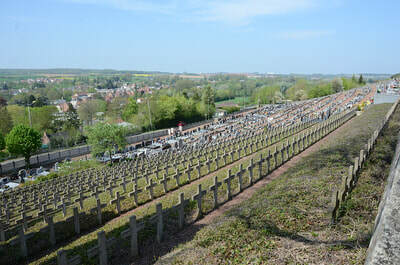 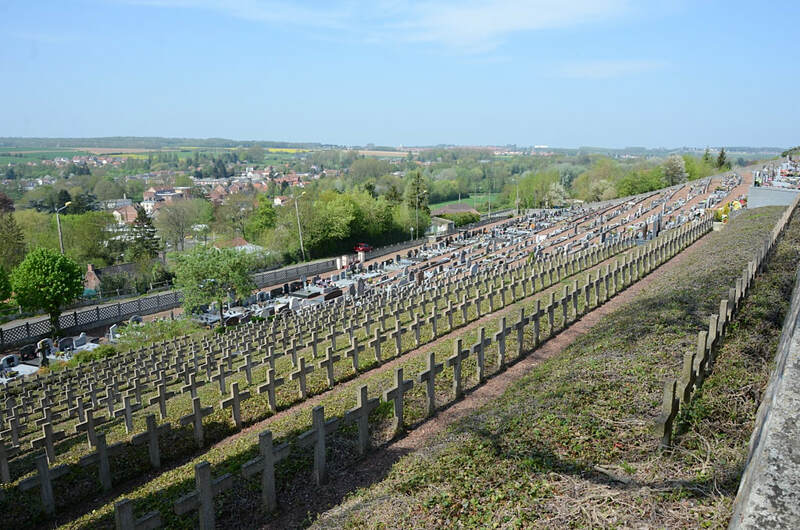 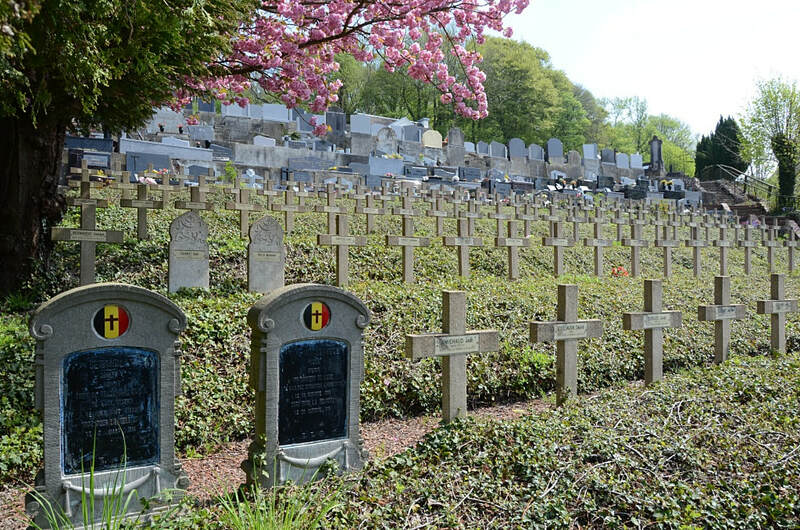 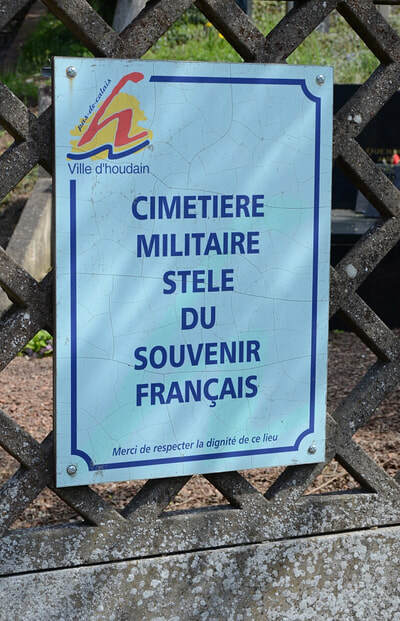 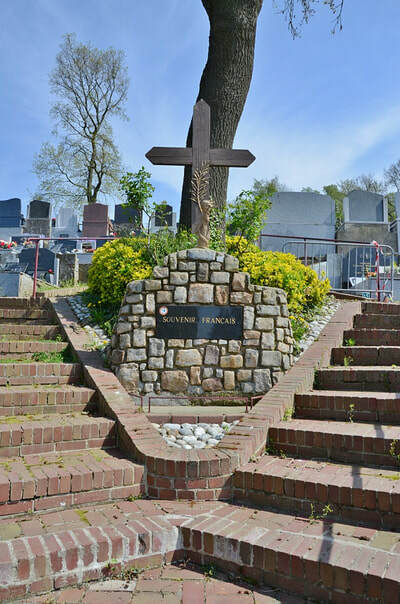 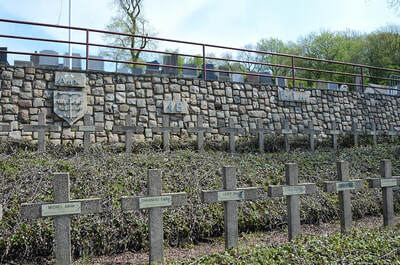 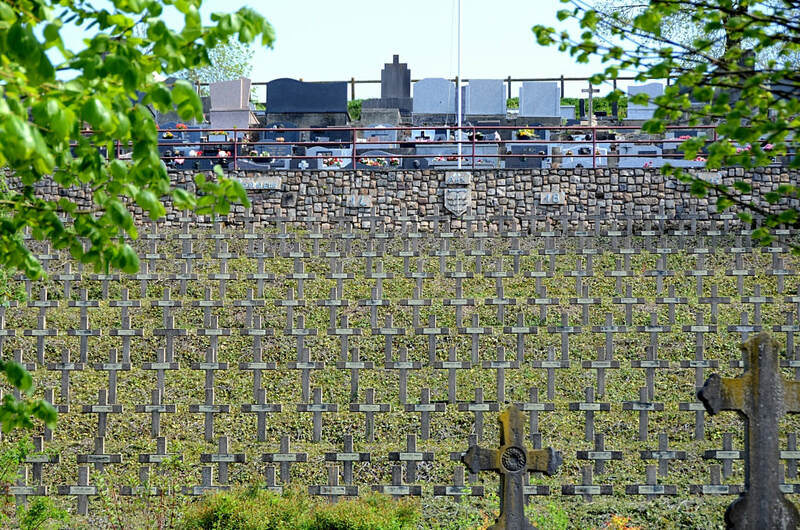 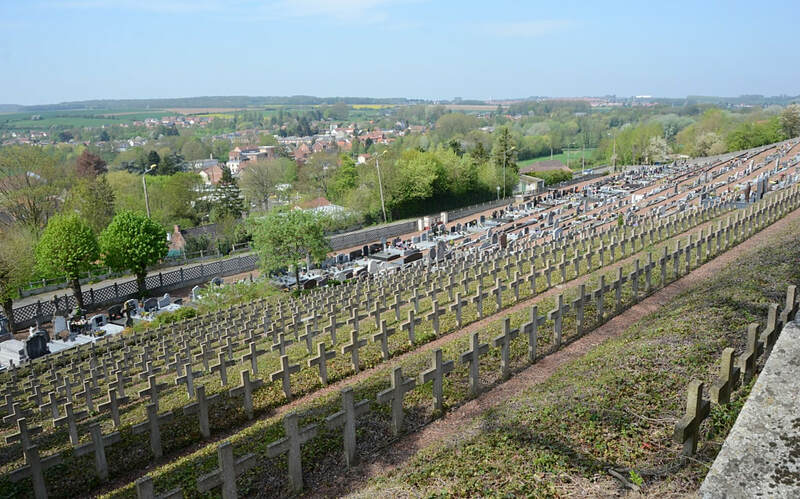 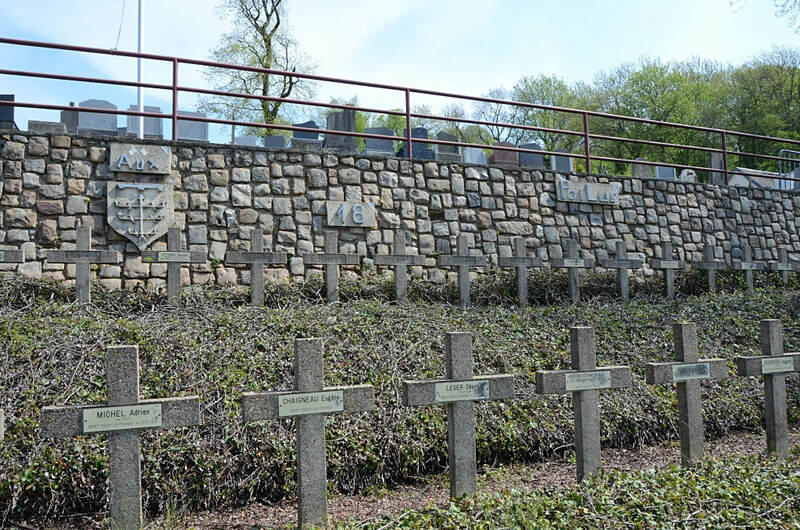 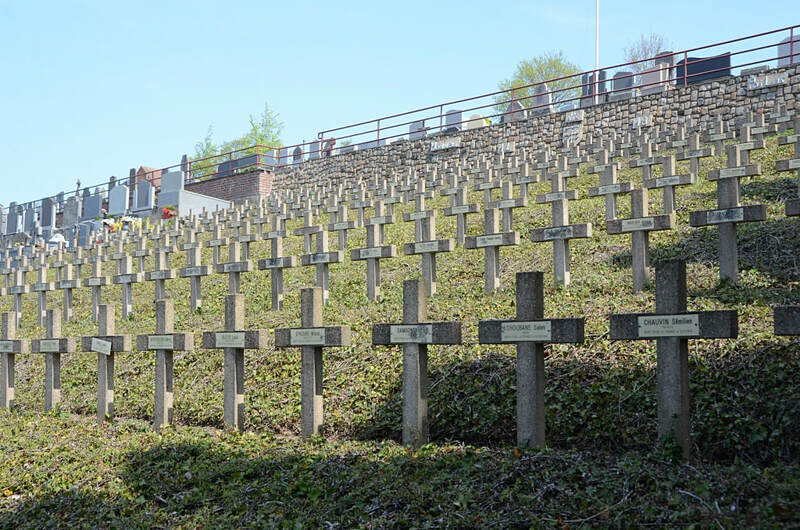 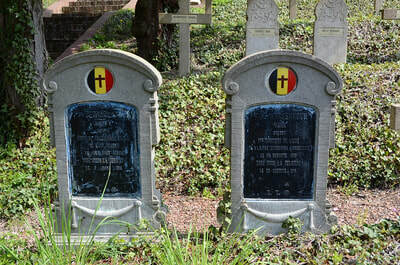 The French military graves are located within the local Communal Cemetery to the North-West of the village. 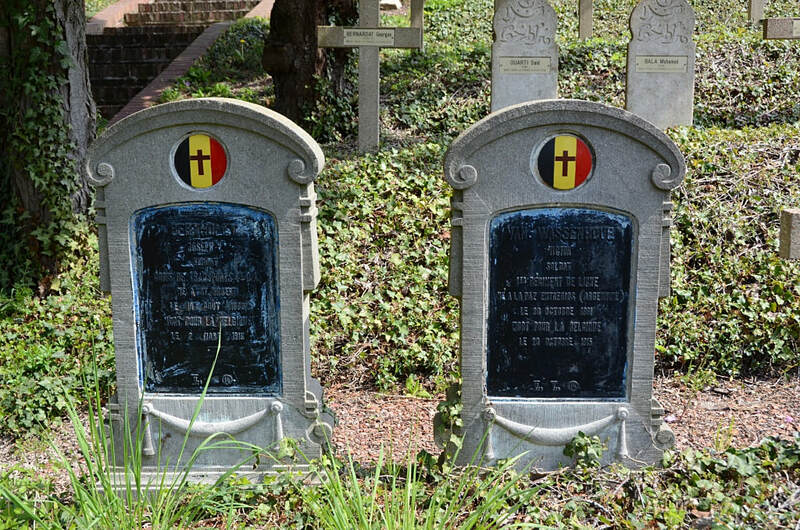 There are 500 French and 2 Belgian Servicemen commemorated here from the Great War.